Team analysis: West Orange had a banner year, pulling in their first sectional championship in school history. WO-Town will look to build upon last years season of success. This year they return all-state wing Mya Bembry. The Penn-State commit is one of the smoothest offensive players in the state. Bembry can shoot it and is extremely crafty in the open floor. Bianca Fede is also back for her senior year. The talented point guard can shoot it from three and sets the tone defensively. Look for incoming freshman Kiley Capstraw to burst on the scene this year. Capstraw is a solid wing player that can score in a variety of ways. This team is well coached and love to play fast. Look for this team to compete for a county championship and battle against Franklin in the Group 4 championship. Team analysis: The Patrick School is one of the most dynamic teams in the state. The party is always started by sophomore point guard LaShae Dwyer. The talented point guard is one of the most innovative ball handlers and finishers in New Jersey. Dwyer uses her kyrie-like moves and finishes to captivate the audience. She’s box office for sure. The addition of “Tink” Davis from Delaware via transfer is a major move as well. Davis can shoot it from deep is is very creative off the bounce as well. Temple commit Asonah Alexander is one of the most versatile players in the state. She’s a strong defender that can play multiple positions on the floor. This team has an abundance of talent. Players Q. Mcdowell and Dana Hill all play major minutes and produce when their number is called. There has also been a lot of talks about the promise of Helena Lasic. The depth (and very good coaching,) of this team allows them to run a wide array of defenses and press the entire game. If TPS can remain composed and efficient when the game is slowed down, this team could make a big time run. They have the talent to win the county chip and make some noise in March. Watch out for this team! Stat to know: TPS made it to the UCT final last year but lost a close one 55-52 to Roselle Catholic. Team analysis: Hudson Catholic is onto something special. This 21 win squad is a year older and looks more experienced across the board. Sensational sophomore point guard Zanai Jones is one of the best floor generals in the state. Jones does a fantastic job creating for herself and for others. In the 2018 season, Jones averaged a whopping 8 assists per game. Another key player on HC is sophomore Jayden Watson. The Stretch forward is a lethal shooter from three and will attack you off the bounce in a hiccup if needed. Look for Watson to produce very solid numbers in a bigger role this year. The heartbeat of this team is senior guard Haylee Ramirez. The NYC Exodus guard is one of the best shooters in the state. Her ability to knock down shots from WAY behind the three point line make it virtually impossible to sit in a zone for long against this team. Ramirez has also taken great strides in her ability to attack and rim and create points for herself and others off the bounce. Hudson is at their best playing fast. Look for this team to throw a bunch of different defensive looks at teams in an effort to create turnovers and keep the game in transistion. If Hudson can continue to improve in the half court and rebound the ball at a strong clip, this team could win the County Chip and make a deep run come tourney time. Stat to know: Haylee Ramirez is on pace to break the 1,000 point mark early in the season. Team analysis: TCA was one of the best surprises of last year, posting a massive jump in wins from 2017 to 2018. Much credit is due to coach Bob Fusik, the newly hired head coach last year who was previously an assistant as Rutgers Prep. TCA is a very tough team to matchup with. They have great length, speed and athleticism at all spots on the floor. They use that to their advantage by relinquishing a wide array of defensive looks to befuddle their opponents. With the turnovers they create, TCA gets the game going at a faster pace than most teams are comforatable with in transistion. TCA returns a solid nucleus from last years 26-3 team. 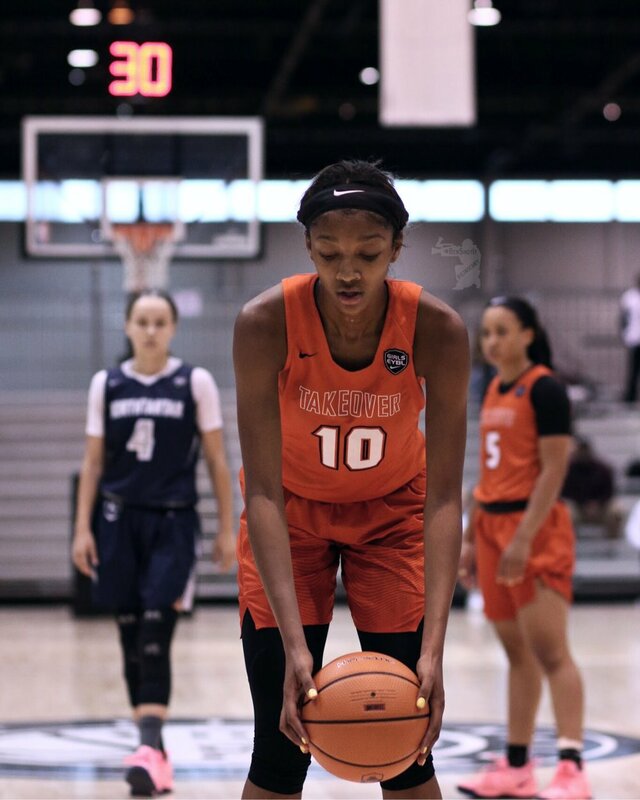 Giana Boulden is back after a sensational AAU summer and has taken her offensive game to another level. TCA has a new edition at point guard in Maniya Custis. Custis is a dynamic player who will make a lot of noise in New Jersey this year. TCA’s style of play is perfect for the crafty floor general. Custis is incredible in the open floor and dynamic in pick and roll situations. With that being said, in order to win the big games, TCA will have to show their ability to be extremely effective in a slower paced game. Many teams will look to slow them down and force them to be very efficient in the half court. If TCA can figure that out come tournament time, this team could make some major noise down the stretch. Stat to know: With a slight uptick in her average this year, Boulden should break the 1,000 point mark this year. I started taking basketball serious around the 7th grade. My step dad would always take me to the court to put up shots. My mom also played basketball when she was younger, so I was always around the game. The first year was kind of rough as I was finding my way. I started going to camps and playing against the guys. It made me tougher. It takes a special type of player to become a fan favorite in New York City. It takes grit, fearlessness and undeniable skill to captivate the hearts of the people of New York. In 2018, there are few players that are as popular in New York as Dashawn Davis. Honestly, what is there not to like to about Dashawn? Davis is from the Bronx, Edenwald Projects to be exact. Davis is tough as nails on and off the court. Make no mistake about it, the talented combo guard is must see in NYC on the courts right now. He embodies what the city represents. So while many are making their mass hiatus, the crafty combo guard is pulling the city as close as possible. Davis loves Dyckman. Davis loves Our Savior Lutheran. Davis loves New York.. and they all love him back. Tough - marked by absence of softness, very hard to influence, uncomprimising determination. The Team Takeover forward is the type of player you want on your side for sure. She’s relentless offensively, constantly attacking the rim. Defensively she’s a game changer. Reese is vocal and active. She never backs down or lets up. 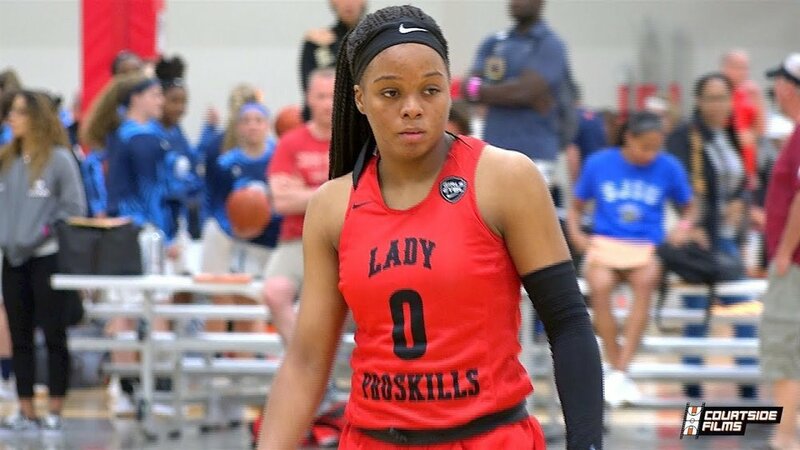 It’s no surprise that she’s a top 20 player in the class of 2020. When I was 9 years old, I talked to my parents about playing basketball in between track season. I tried it out and fell in love with the game. I come from a sports family. My mom ran track at the University of Tennessee and my dad played football at Middle Tennessee and went on to play in the NFL.